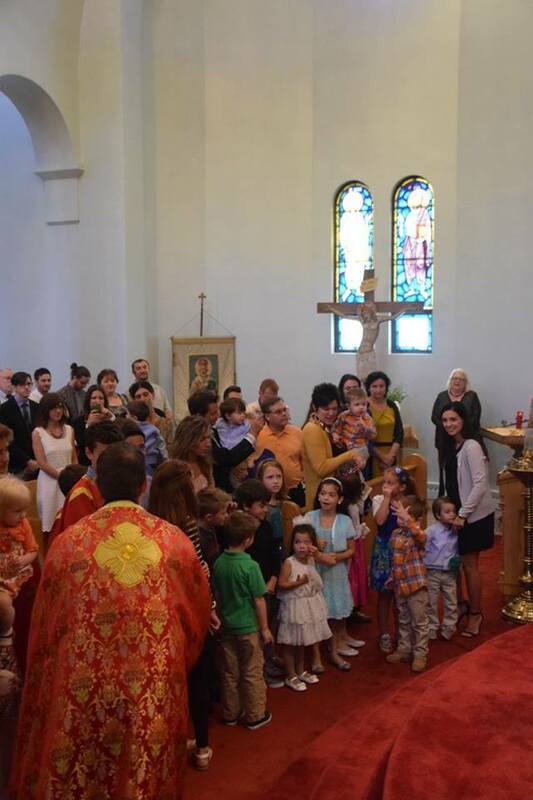 North Canton, OH - This Feast of the Holy, Precious and Life-Giving Cross was a day of great spiritual joy for the community at St George Serbian Orthodox Church. 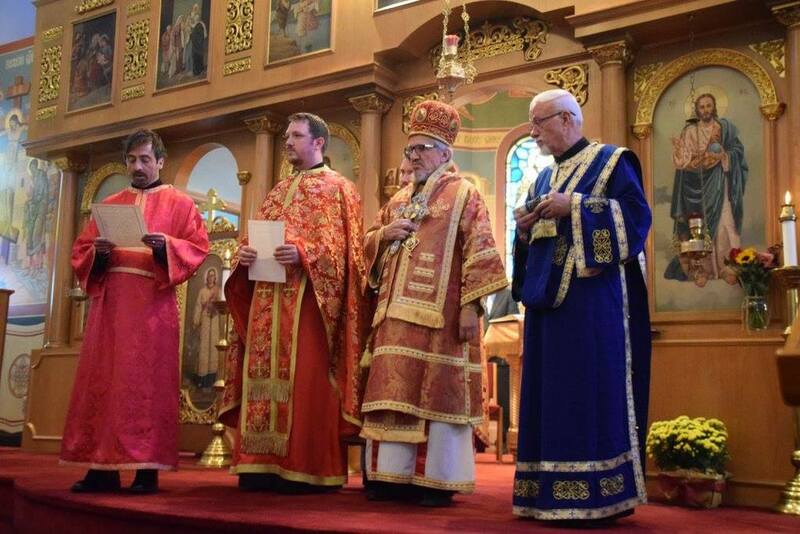 His Grace Bishop Dr +Mitrophan elevated two candidates to major orders of ordained service in the Holy Orthodox Church. 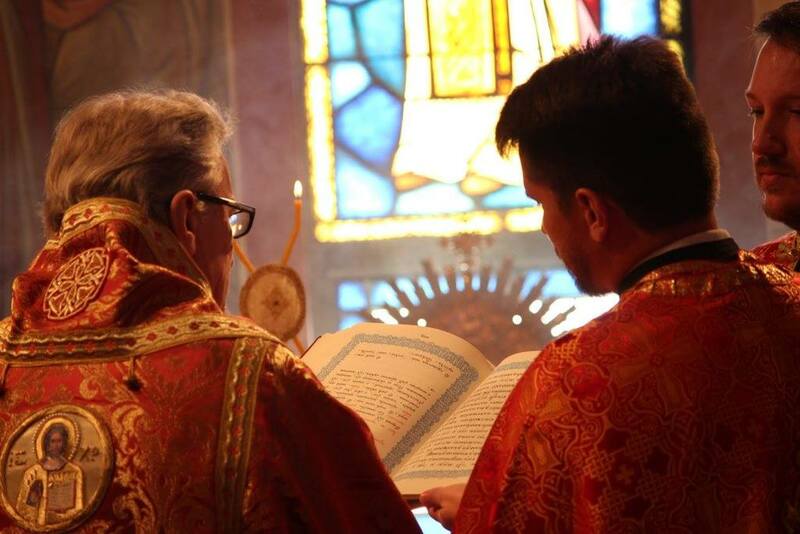 Through their dedication, training, and honorable service, these candidates have shown themselves to be capable of the priestly and diaconal offices entrusted to them. 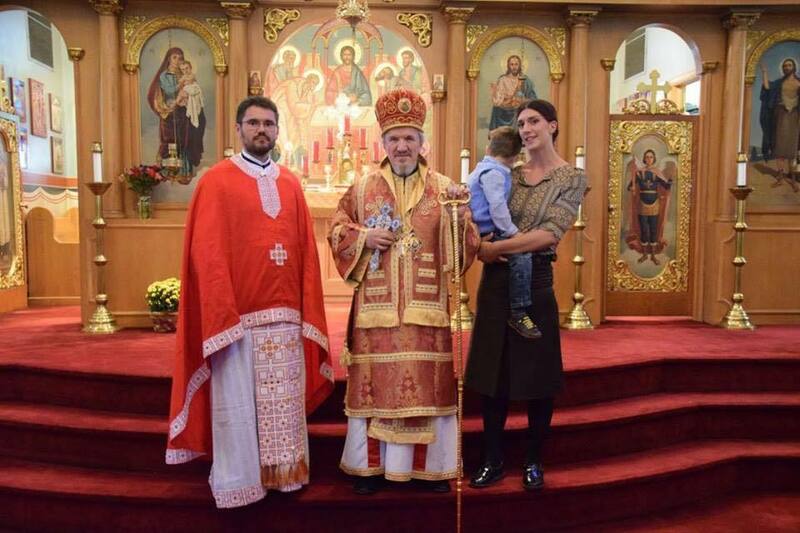 Fr Vladislav Golic was born on December 26, 1983 as the first son to his parents Rev. 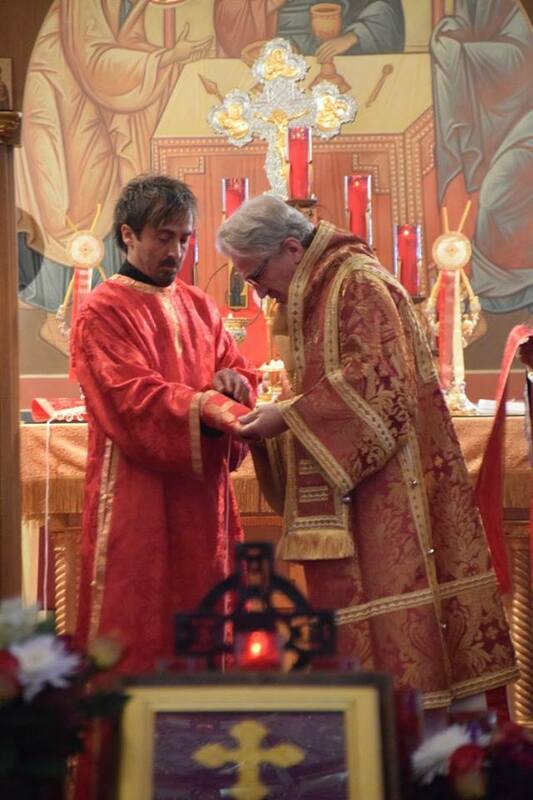 Fr Vlatko and mother Jadranka (Kovacic) Golic. 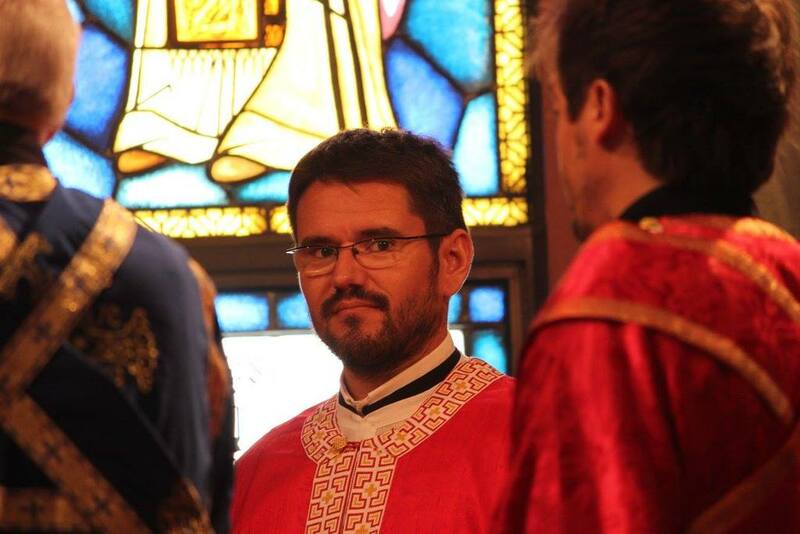 He attended high school seminary in Sremski Karlovci, Serbia from 1998-2002 and completed his Theological studies at the University of Belgrade - School of Theology 2002-2006. 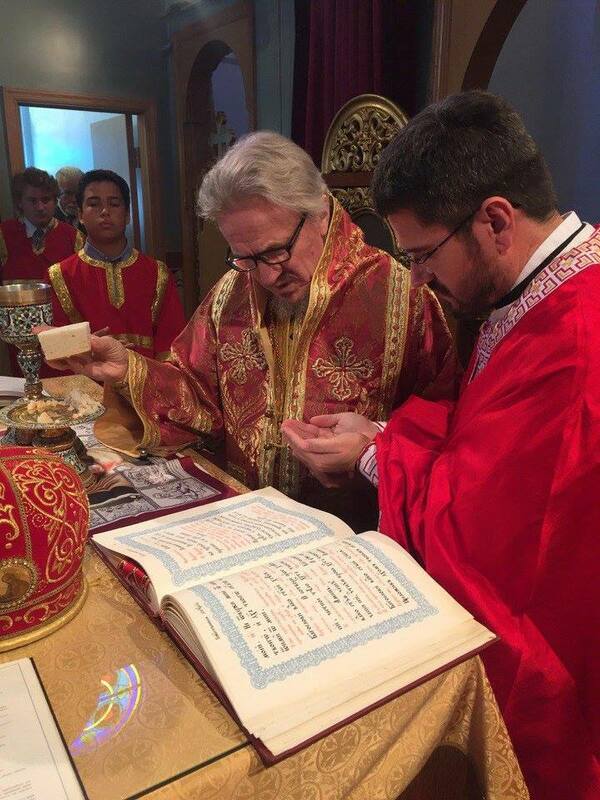 During his studies, he met his now wife Sara (Jager) Golic who also completed the Theological Studies at the same University. 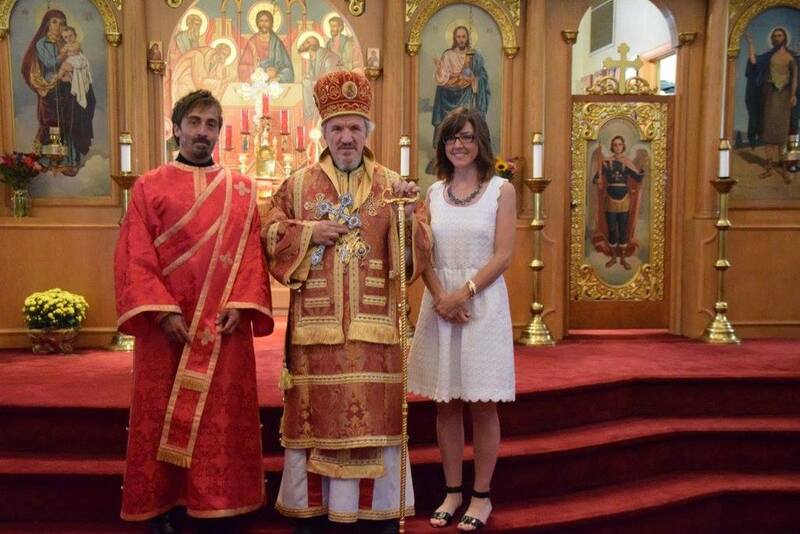 Upon graduation, they were married in 2008 and both started their careers as religious teachers. 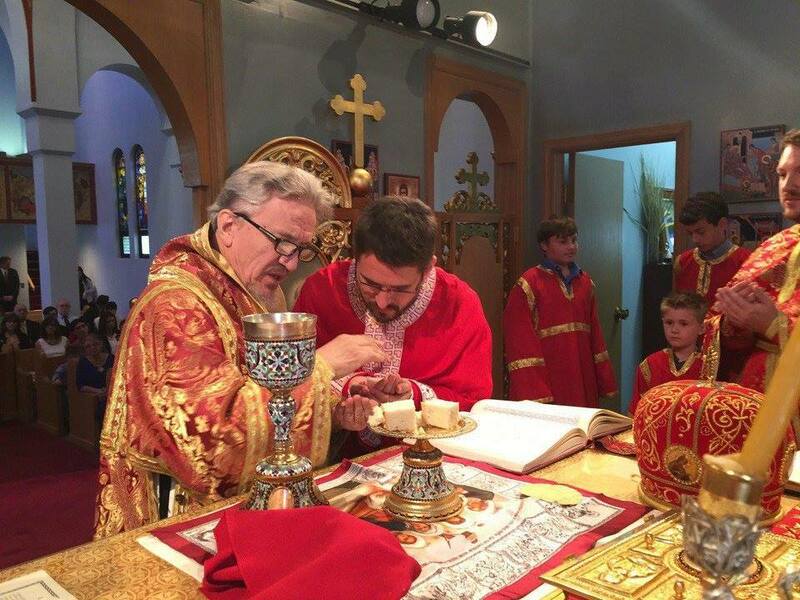 In 2011 they were blessed with their son Natan. 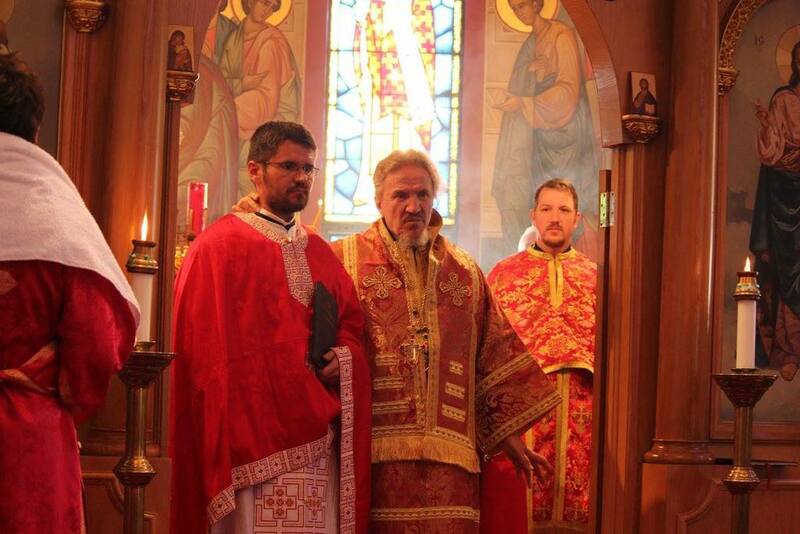 Fr Vladislav was ordained to the Diaconate on June 19, 2009 and served with Bishop Atanasije (Rakita) from 2009-2013. 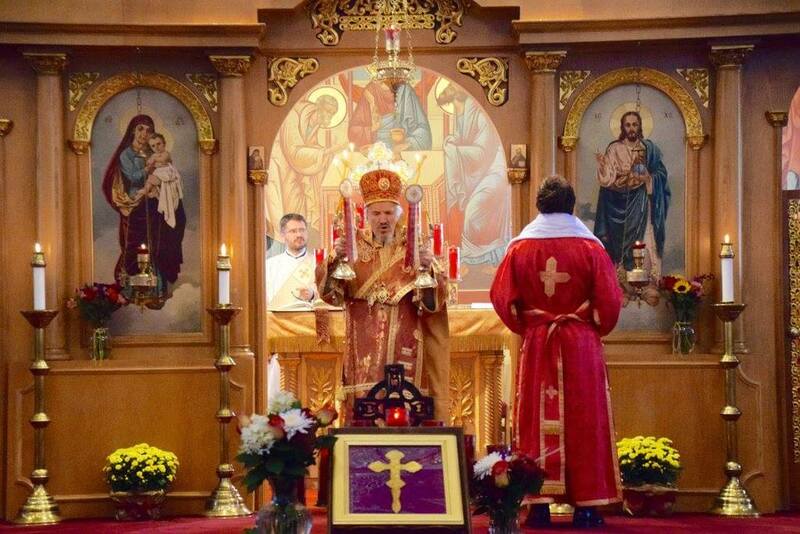 During that time Fr Vladislav served on the Board of Religious Education for the Archdiocese of Belgrade and Karlovci. 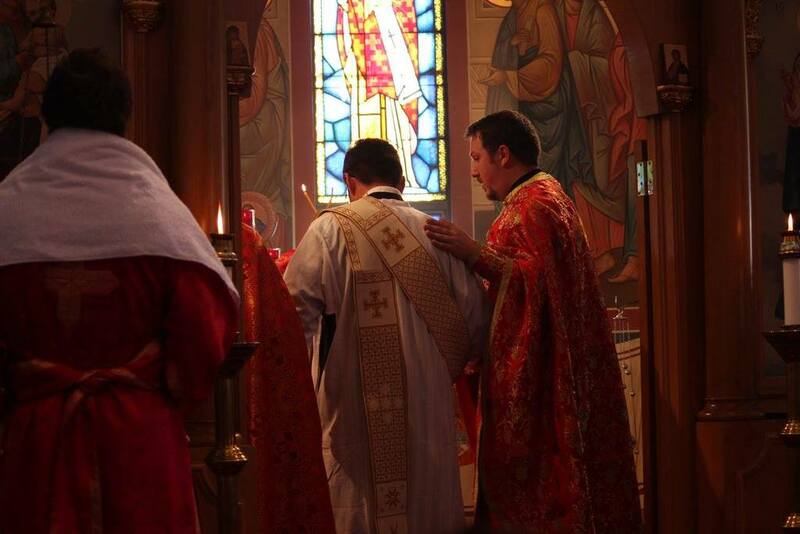 In 2013, he was assigned to assist Bishop Jovan (Culibrk,) and he served with him for 1 year. 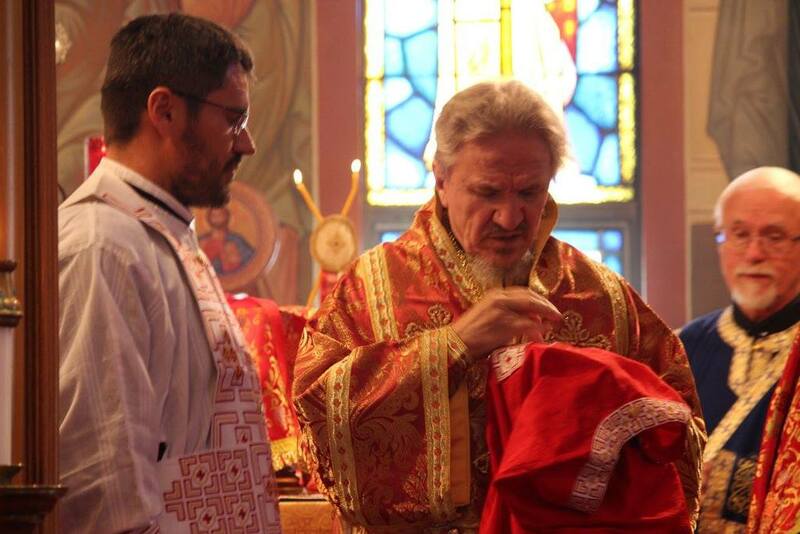 Through all these years, aside from his diaconate duties at his Parish of Holy Trinity in Zemun, and assisting the two bishops, Fr Vladislav taught catechism at the 9th Gymnasium in Belgrade for 7 years. 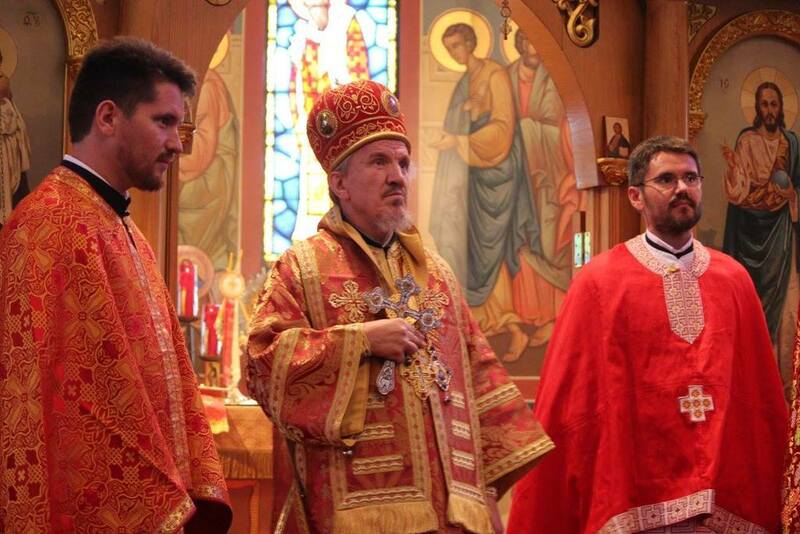 In 2015 Fr Vladislav transferred from the Archdiocese of Belgrade and Karlovci to the Eastern American Diocese, under the omophorion of Bishop Mitrophan. 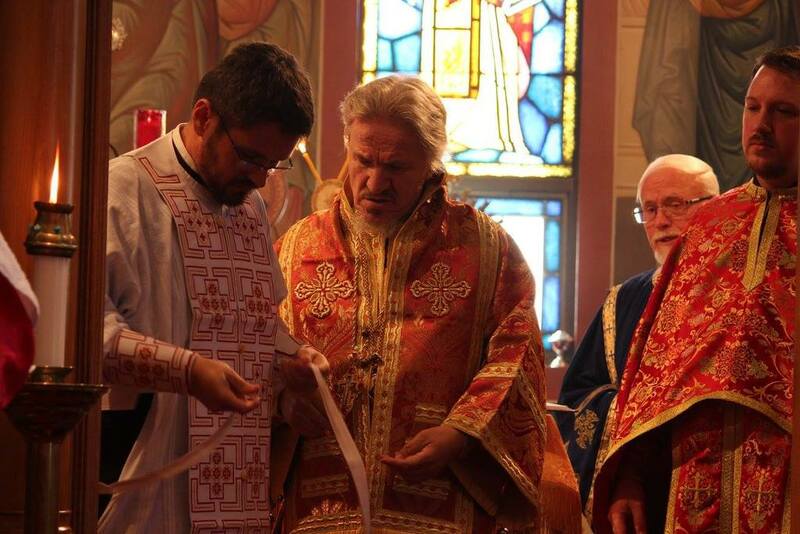 Rev Deacon Larry Soper has long been a part of the St George community. 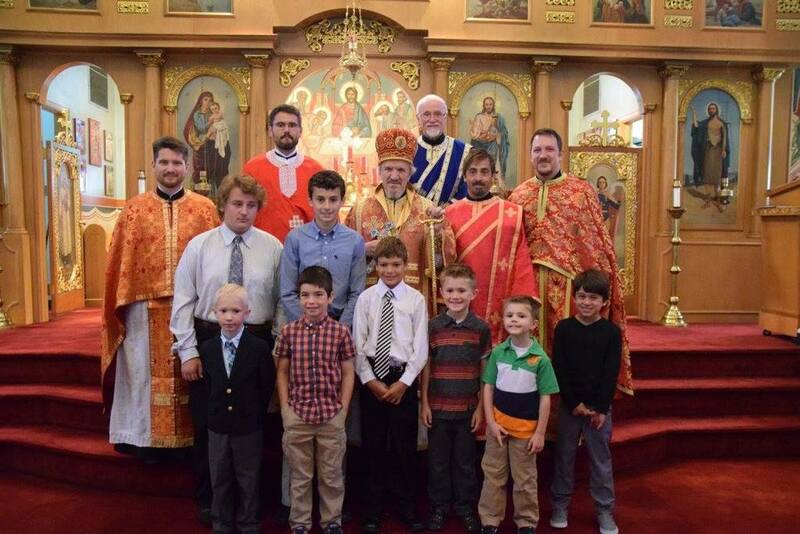 He successfully completed the Russian Orthodox Church Outside of Russia’s Holy Trinity diaconal vocations program in Jordanville, New York. 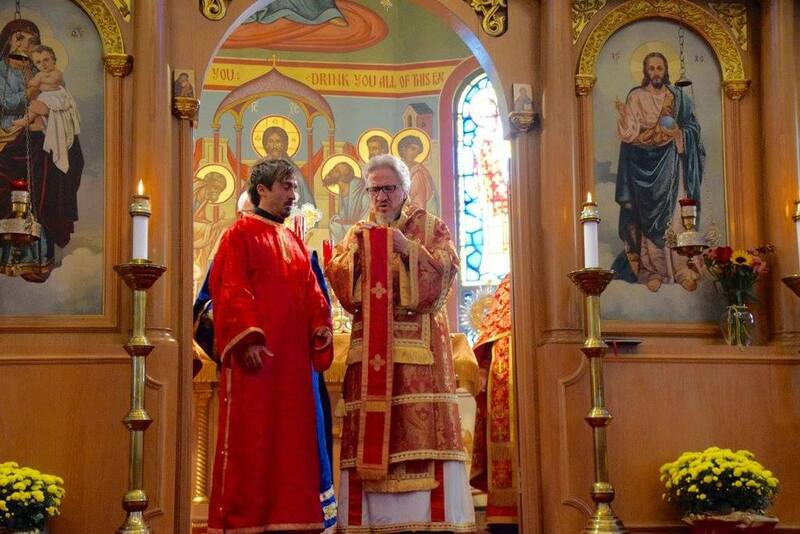 With the blessing of His Grace Bishop Dr Mitrophan, Dn Larry continued his education in pursuit of his undergraduate degree in theology to be completed this May. 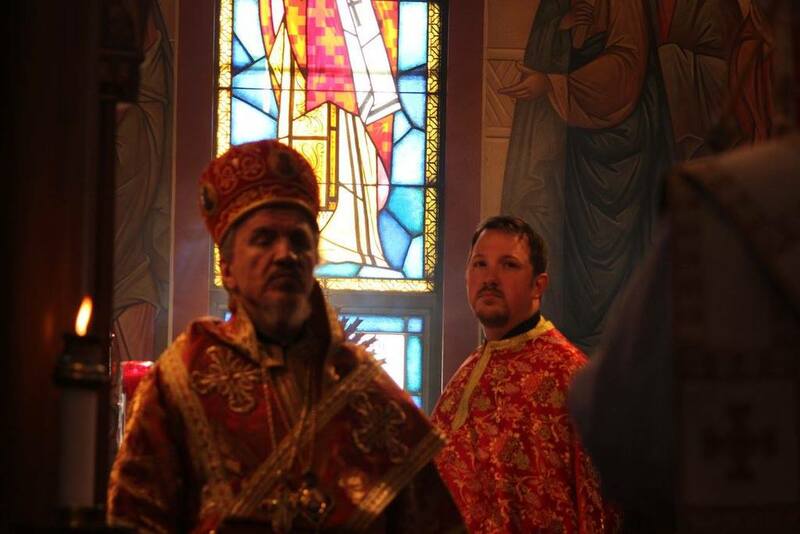 Although his studies are time consuming, Dn Larry works as the house manager for the Interval Brotherhood Home in Akron, Ohio. 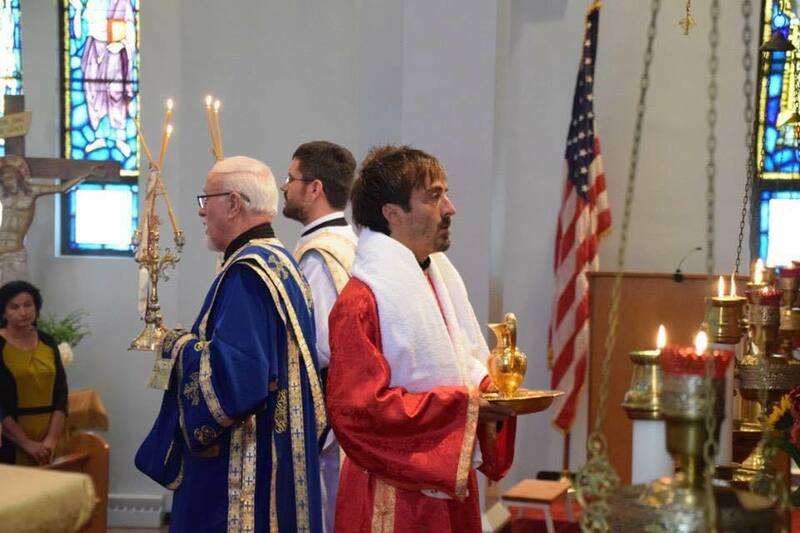 This facility operates as a joint effort between the Roman Catholic Cleveland Diocese and the state of Ohio. It offers medical treatment and rehabilitation for drug and alcohol addiction, a field Dn Larry has worked in for the past nine years. 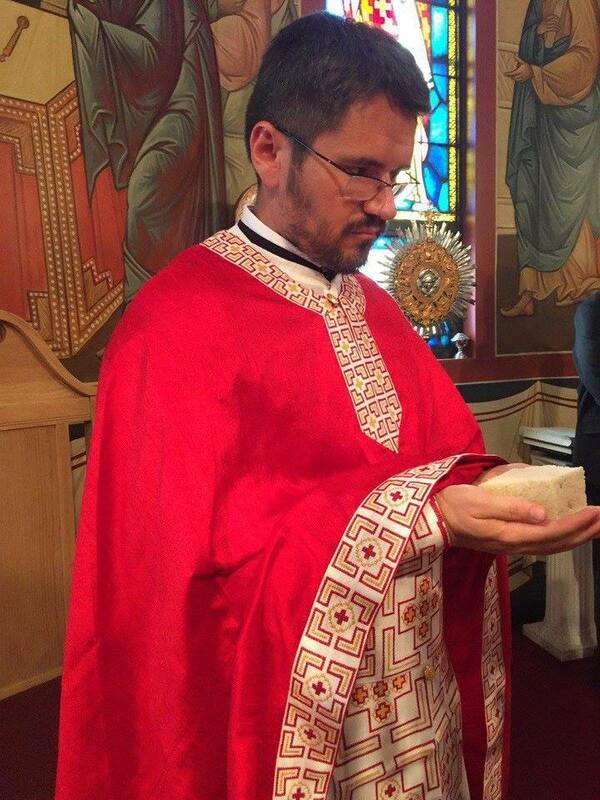 His passion is serving God by serving those who are the most in need in the community. 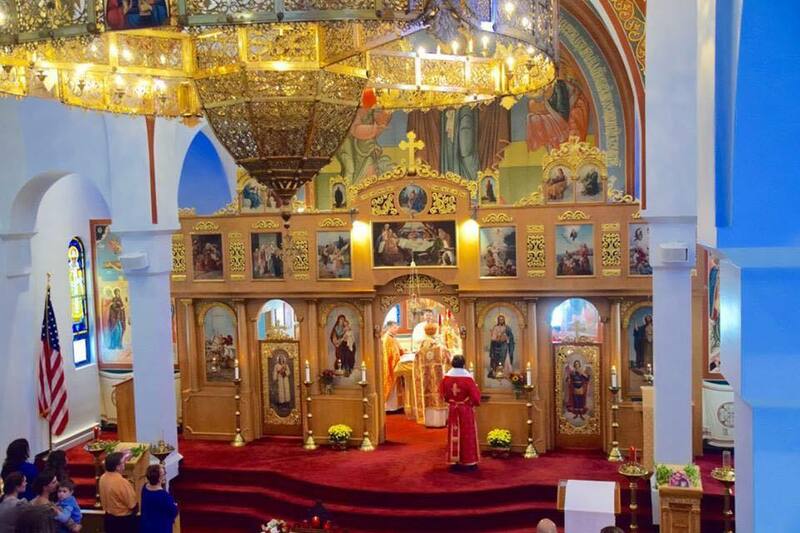 The community of St George gave Dn Larry an icon of the newly canonized St Sebastian of Jackson to commemorate this event. 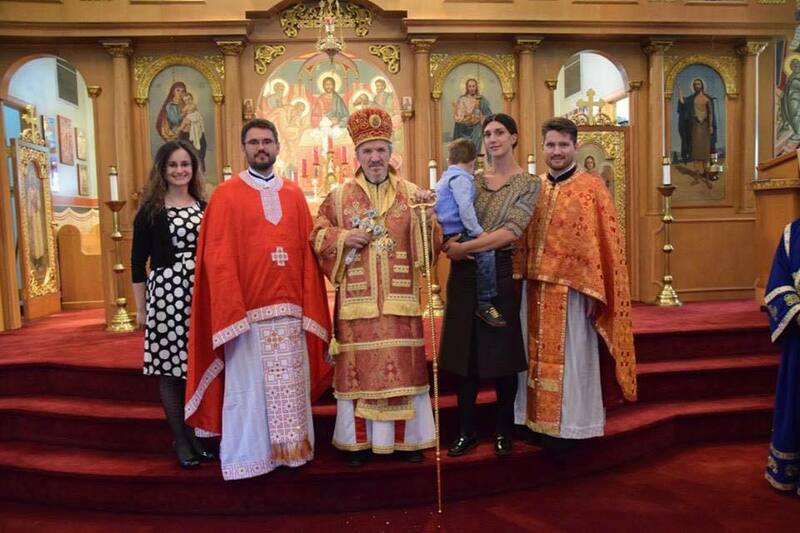 St Sebastian bears the distinction of being the first-ordained Orthodox priest born in the United States. 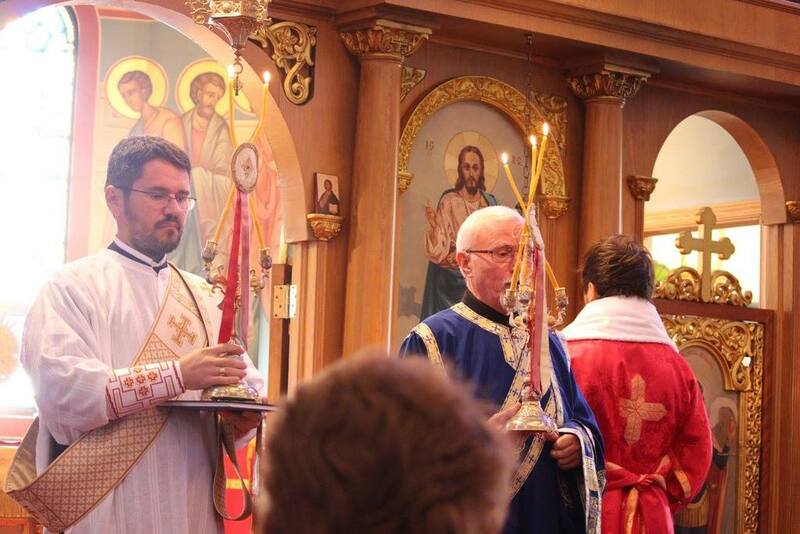 Starting in October, Dn Larry will be working with Fr Aleksa Pavichevich on a new young adult ministry at St George which will bear St Sebastian as its heavenly patron. 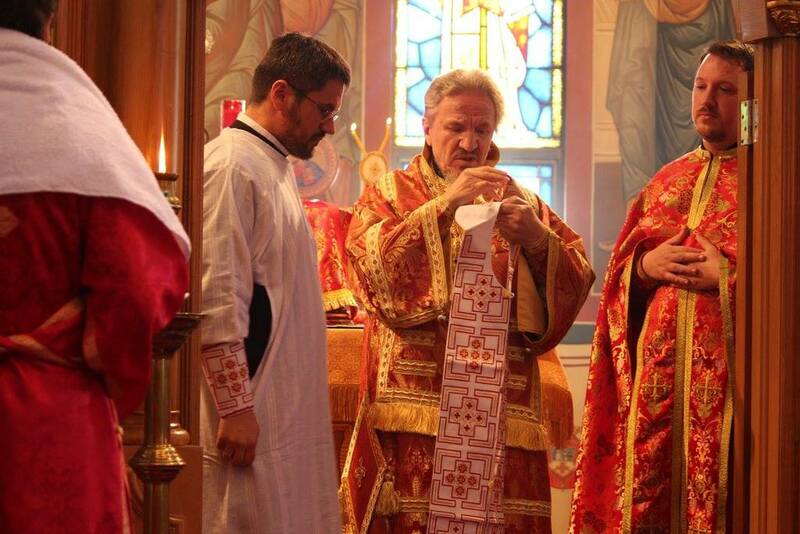 Dn Larry and his wife Adrienne were married in 2011, and both have served and supported both St George in North Canton as well as St Archangel Michael in Akron. 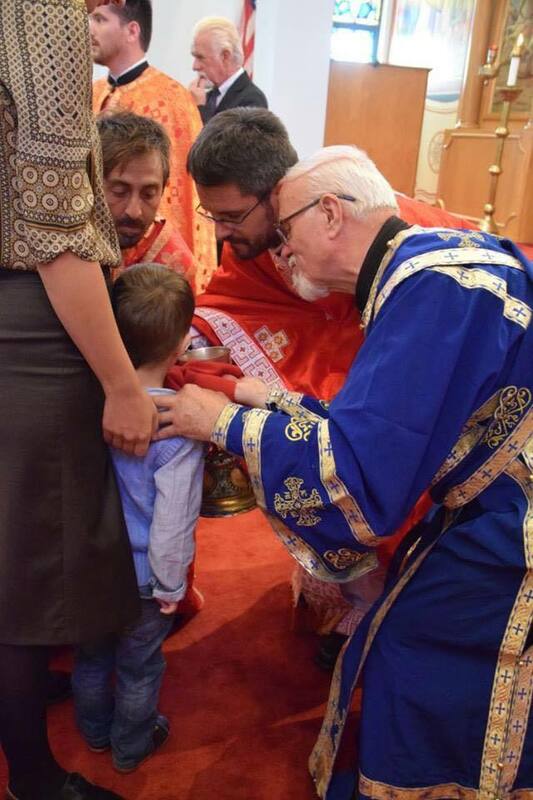 Prior to the end of Divine Liturgy, His Grace Bishop Dr Mitrophan blessed all the children of St George Serbian Orthodox Church at the start of their church school year. 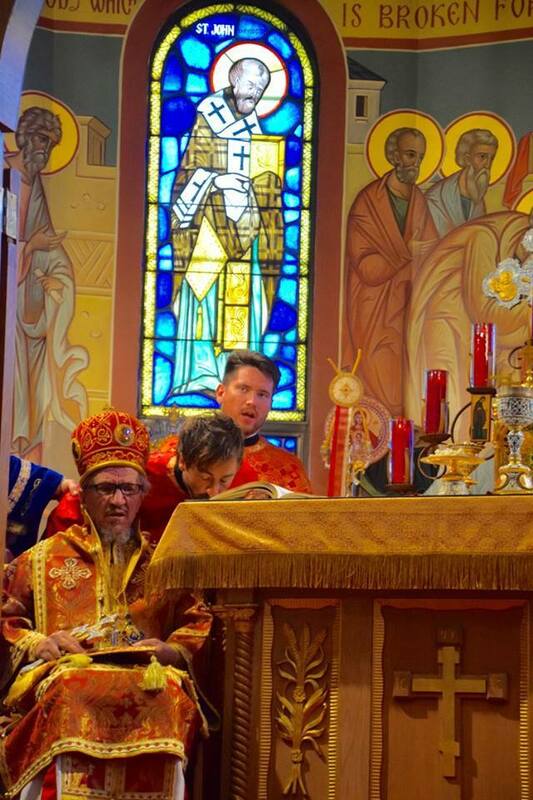 During the festal meal that followed, His Grace Bishop Dr Mitrophan exhorted the newly ordained Rev Fr Vladislav and Rev Dn Larry to carry the cross that God has given them. 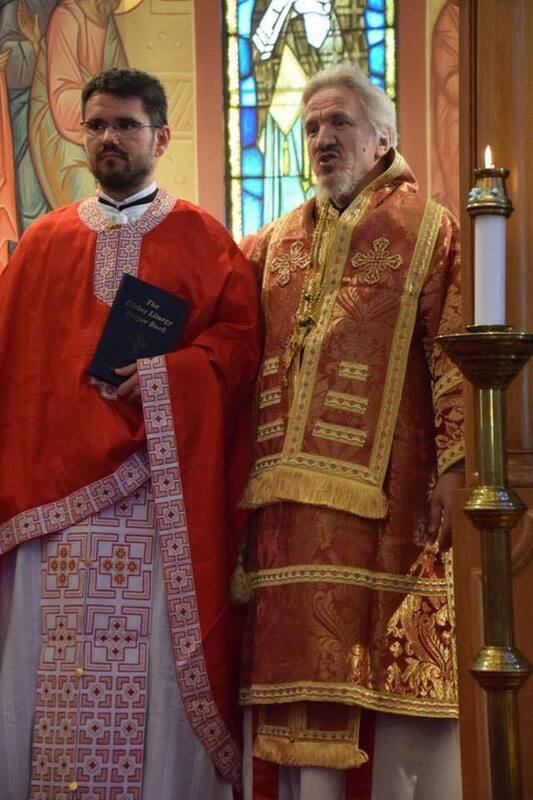 May God continue to guide and strengthen them as they live out their lives in service to Christ and His Holy Church, and may God grant them many years!